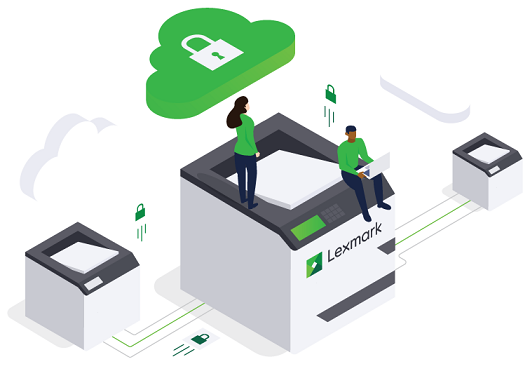 New Lexmark Technology Unleashes Printers, Empowers users, Liberates IT staff | Industry Analysts, Inc.
Lexmark Cloud Services provides a more efficient and affordable path to print management success. With its multi-tenant cloud architecture and ease of deployment, LCS brings a full suite of print-optimizing capabilities to any print environment, from small companies to large enterprises. You’ll be able to offload infrastructure, configure, manage and analyze your print environment for ease of use, consistency, security and cost control. This entry was posted in Lexmark and tagged cloud services, IT Staff, Lexmark, printers by IA Staff. Bookmark the permalink. ← Previous Previous post: Homecoming, JustTech Founder Expands Innovative Equipment, IT Service Provider to North Central W.Va.